I am new to SharePoint and I am trying to display year with the help of calculated column. However, the resulting year is displaying with comma i.e. 2,016 instead of 2016. Is there any easy way of changing it. 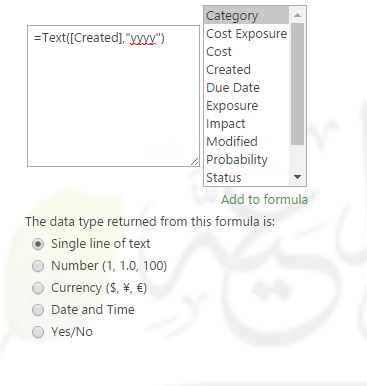 I have given the formula =YEAR(Created). Not the answer you're looking for? Browse other questions tagged sharepoint-server calculated-column calculated-column-formula or ask your own question.